There were ten submissions and the favorite design choice was by Brishen Vanderkolk. His design: a large microphone with text, "Public Radio since 1922." The WBAA T-Shirt will be printed by University Bookstore & will be available next month during the member drive. Combine your love of WBAA with a bit of creativity and design the WBAA 2017 Fall Membership Drive thank you gift. Listeners and artists have the opportunity to design this special t-shirt. Submit your design anytime between: June 16 - July 21, 2017. Deadline for submission is Friday, July 21, 2017 - 5pm. Maximum final printed design will be no larger than 12" x 15"
Artwork submission details: Vector artwork is preferred or 300 dpi raster file - no more than 3 spot colors can be printed. Voting will run: July 24th - August 10th (deadline 5pm). Voting takes place by email or phone - one vote per person. 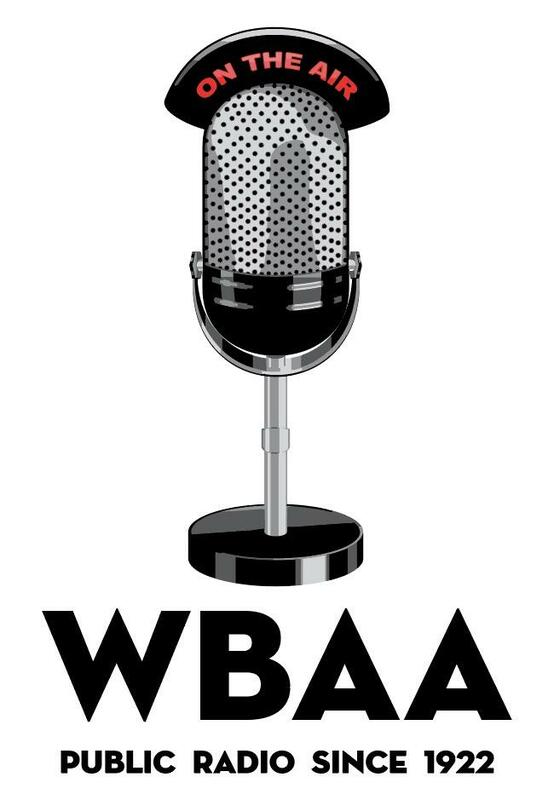 WBAA reserves the right to overrule the final choice, IF the chosen design is not appropriately reflective of the station. T-Shirts will be printed by the University Bookstore. Artist with winning design will receive 4 t-shirts. Odds of winning the prize are determined by the total number of eligible entries received. All federal, state and local rules and regulations apply. The sponsor is WBAA, 712 Third Street, Purdue University, West Lafayette, IN 47907-2005. Only one entry per person. Void where prohibited. Contest is open to U.S. Residents with no age limitations. Employees of WBAA, including their immediate families & members of their same households are ineligible for this prize. You participate in the contest by submitting your design to WBAA between Wednesday, June 16, 2017 and Friday, July 21, 2017. You may enter without making a pledge. The Winner will be selected by listeners, donors and friends of WBAA who vote by email or call WBAA. One vote per person. The winner will be announced on Friday, August 11, 2017. All taxes in connection with the prize and the reporting consequences thereof are the sole responsibility of the winner. The winner agrees that WBAA and affiliates and their officers, directors, employees and agents, successors and assigns shall have no liability whatsoever for any injuries, losses or damages of any kind resulting from acceptance, possession, misuse or use of the prize. For further information, please call WBAA at 765-494-5920.